DUBAI, United Arab Emirates — Bahrain said Thursday that Kuwait, Saudi Arabia and the United Arab Emirates pledged $10 billion to support the island kingdom, helping it avoid defaulting on loans as it tries to restructure its finances. Bahrain, though the first Arab nation in the Persian Gulf to strike oil, had faced the specter of defaulting on a $750 million Islamic bond repayment due on Nov. 22. The International Monetary Fund in late May warned that Bahrain's public debt now represents 89 percent of its gross domestic product, while reserves are low. As part of the bailout, Bahrain pledged in a statement Thursday night to eliminate the country's debt by 2022, aiming to restructure its finances to save $2.1 billion annually. Those savings will come in part through budget cuts, voluntary retirement of government employees and "streamlining the distribution of cash subsidies," the kingdom said. "Today's announcement demonstrates our commitment to putting the government's finances on a solid and sustainable footing," Bahrain's deputy prime minister, Sheikh Khalid bin Abdulla Al Khalifa, said in a statement. 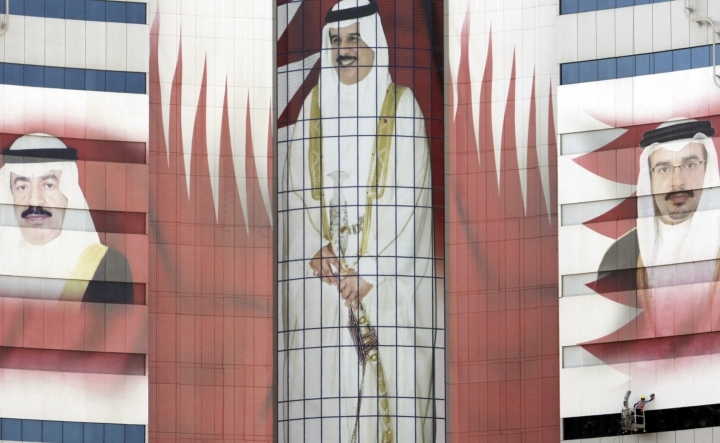 Bahrain previously received $10 billion in aid pledges during its 2011 Arab Spring protests from members of the Gulf Cooperation Council, a six-nation bloc of Gulf Arab states. Other aid has flowed into Bahrain from Saudi Arabia, which wants to shore up support of the island's Sunni monarchy as it continues a yearslong crackdown on dissent among its majority Shiite population. However, that largess from its neighbors dwindled after oil prices crashed to $30 a barrel in January 2016. Benchmark Brent crude since has rebounded to near $85 a barrel, but Bahrain's neighbors similarly felt the pinch and remain cautious. While Bahrain pegs its dinar against the U.S. dollar, it recently has taken a beating in trading. The cost of insuring Bahrain's debt against default for five years has risen to the highest levels since records began in 2008. Bahrain is home to the U.S. Navy's 5th Fleet and a British naval base.